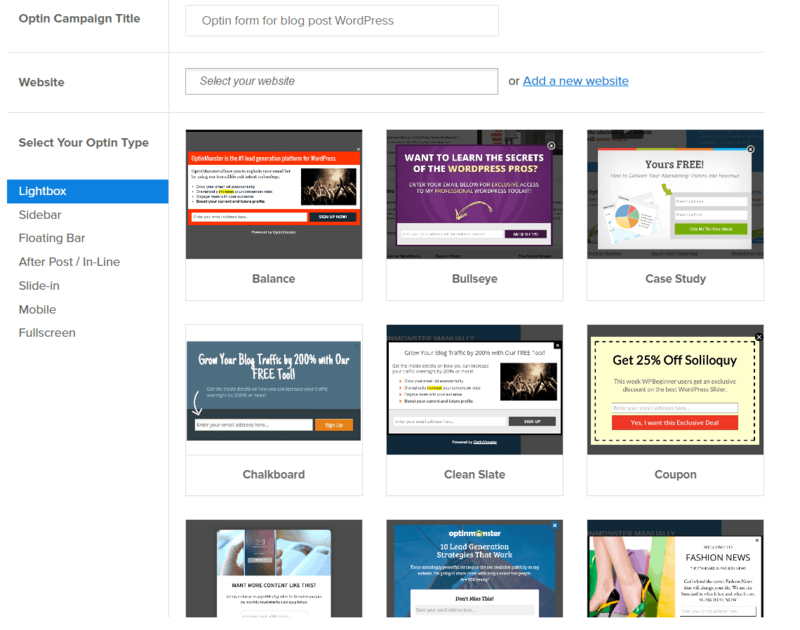 If you read my How to Generate Quality Leads For Your Business Using WordPress article, you’re probably here because you want to set up Constant Contact and OptinMonster for your website. Below is a simple step-by-step process to set both tools up in under five minutes. You will first need to sign up to Constant Contact by clicking here (they offer a 30-day free trial). 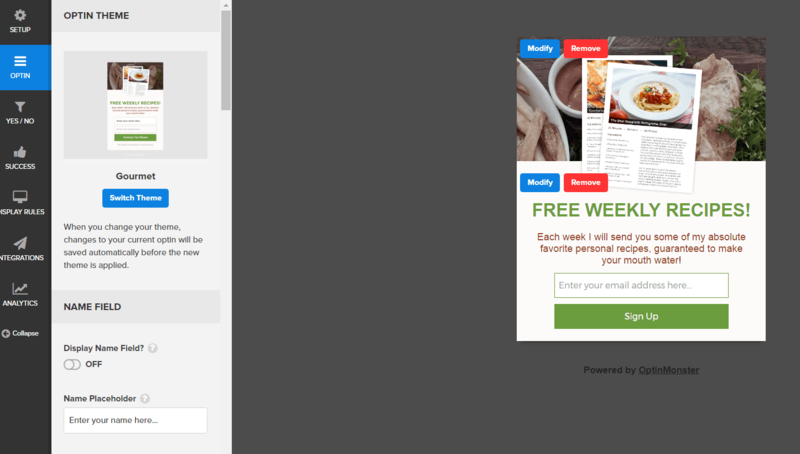 After creating your free account you will be sent to the dashboard where you will need to create your first email list. 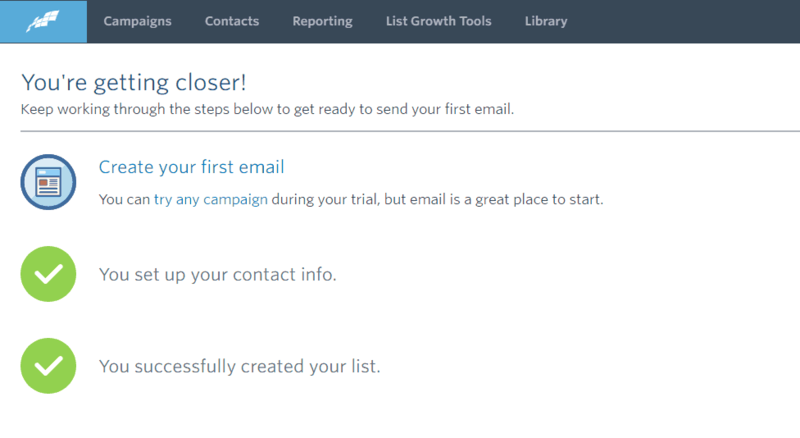 Click on set up your first list and a pop-up will appear where you will be asked to name your list and enter at least one email address. Give your list a suitable name, and if you have no email addresses to paste, just enter your own email address. Click ‘save list’ once complete. The next step is to add your organization’s information such as website address, business address, state, city, Zip code, country, the industry that best describes your business, and your business logo. Once you have done this, click the ‘save’ button. 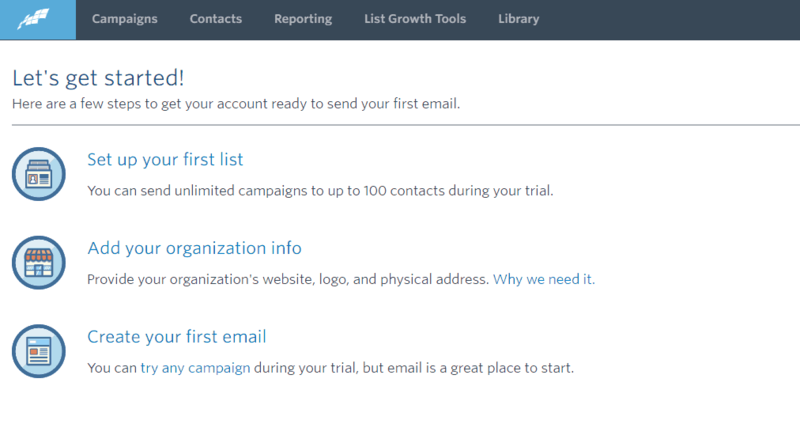 Constant Contact will then ask you to send your first ever email to your list, which you should not do. You want to set up your emails so they are automated and are sent to your new leads without you having to do a thing. 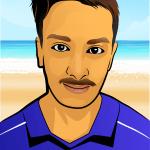 Now I’m going to show you how to create your own automated campaigns in minutes. Note: Autoresponder is an email marketing tool that sends your email list a series of emails based on a certain action (i.e. signing up to your list). 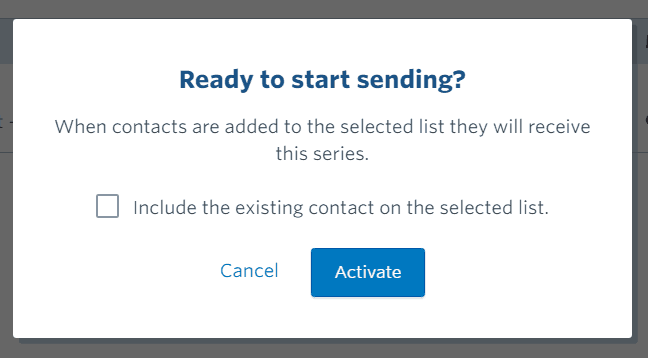 Select ‘creating a new email’ and hit the ‘continue’ button. Note:You can buy branded templates for your business here. Don’t worry, it looks scarier than it actually is. I’ve highlighted the main parts of the email in numbers above. The great thing with Constant Contact is that the entire template is drag and drop, which means you need no coding skills whatsoever. 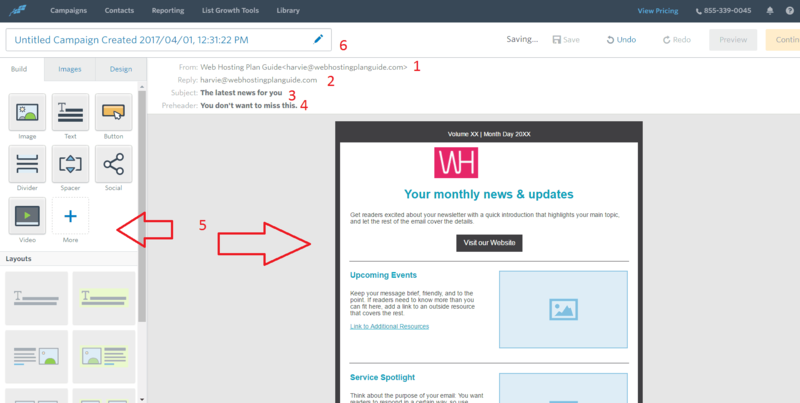 When you have finished creating your first email, click the ‘continue’ button in the top-right corner and then the ‘save changes’ button. I suggest to send your first email right after they sign up to make the biggest impact. Once you have selected your option, click ‘save’ and then the ‘Activate’ button on the top right-hand corner. 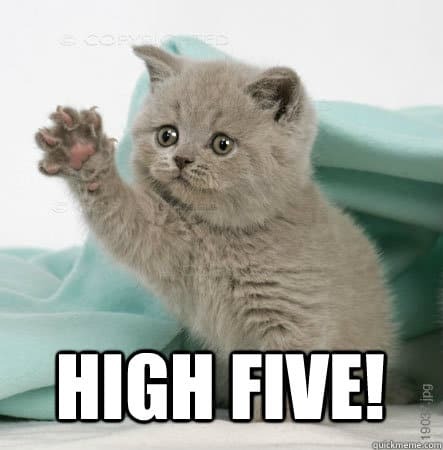 Now give yourself a virtual high five! To add more emails to your automation series, simply repeat the instructions above. 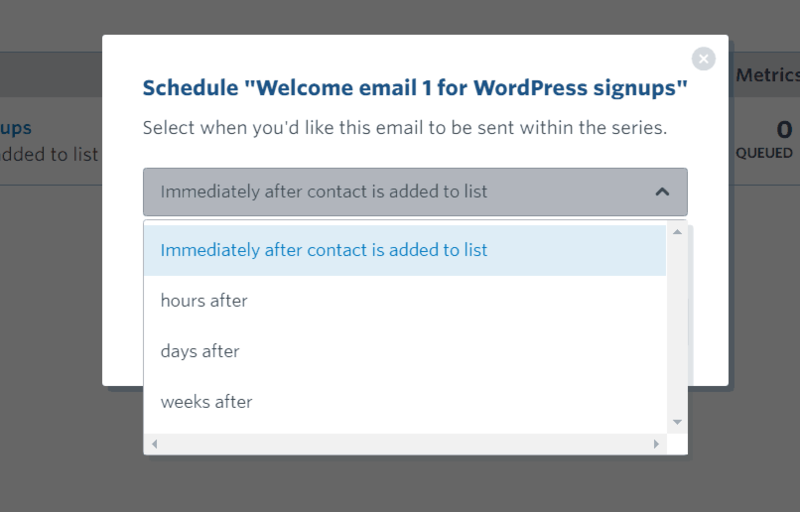 Not sure which emails to create for your welcome series? Then read my How to Generate Quality Leads For Your Business Using WordPress article, as I provide a few suggestions on what to include. 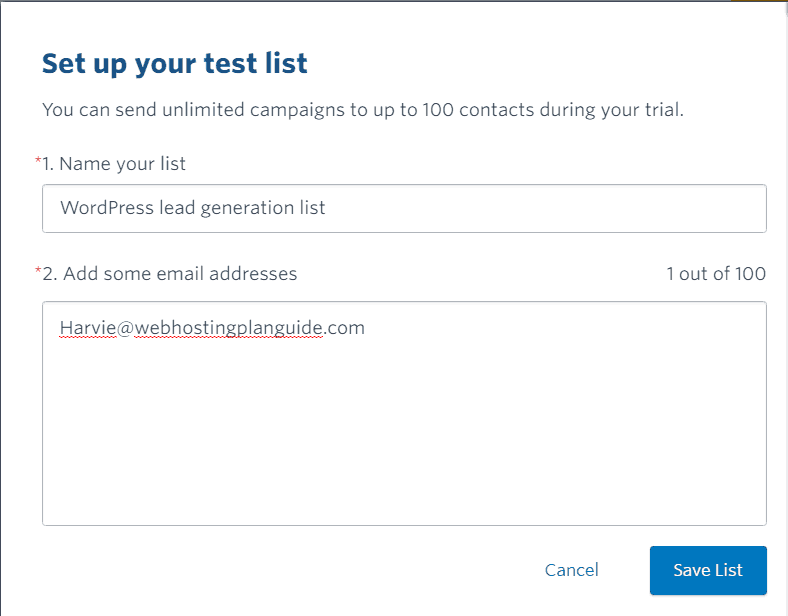 You’ve now set up Constant Contact to send your new leads automated emails; next up is OptinMonster for WordPress. 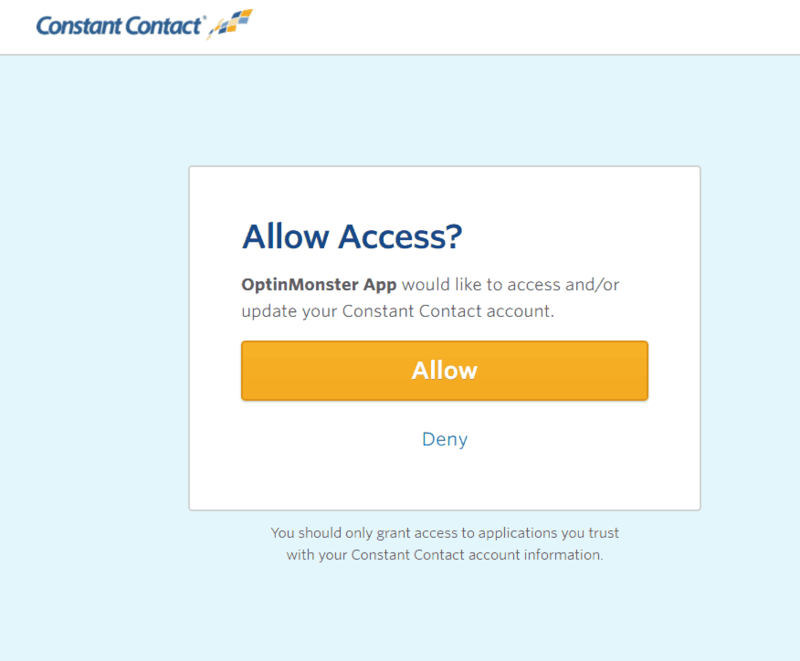 To get started with OptinMonster you’ll first need to create an account there. You can do that by clicking here. 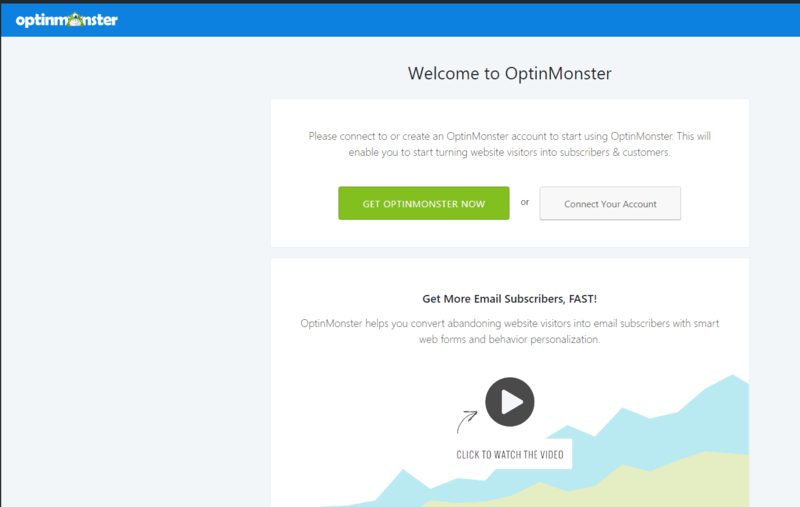 OptinMonster comes with a 14-day free trial. A few options will appear. 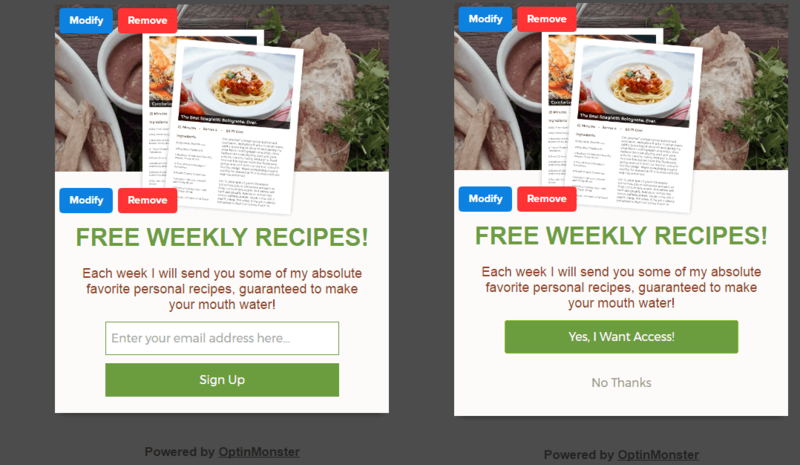 Select OptinMonster – Best WordPress Popup and Lead Generation Plugin and then click ‘Install Now,’ and ‘Activate’ once installed. 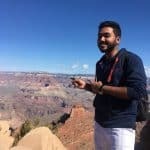 OptinMonster will ask for your API Username and API Key. These can both be found by clicking the API header menu and clicking ‘Generate API Key’ within OptinMonster. 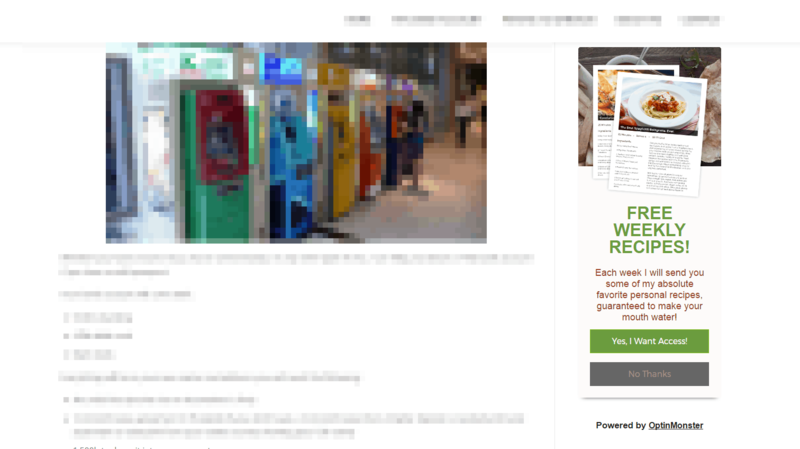 Now you have successfully linked OptinMonster with WordPress. Within the OptinMonster dashboard, click the ‘Create New Optin’ button. 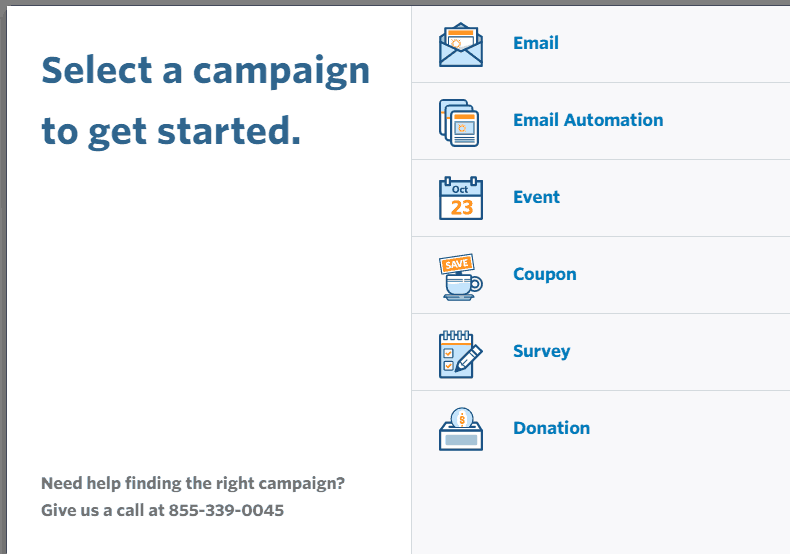 On the left-hand side you can select which type of opt-in you’d like to create. 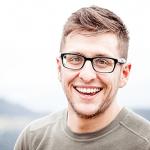 For the purpose of this article, I am going to show you how to create a sidebar form. After selecting the sidebar type and template, you will be taken to the design section where you can select text and add/remove features to/from your form. Setup: Here you will give your form a name and website address (it will pre-populate what you wrote in the last section). Optin: Here you can change the color of your form and add more fields to your opt-in form. Success: This is what message you want the user to see after they sign up. You can redirect users to a new URL. Display rules: This is when you want your form to appear. 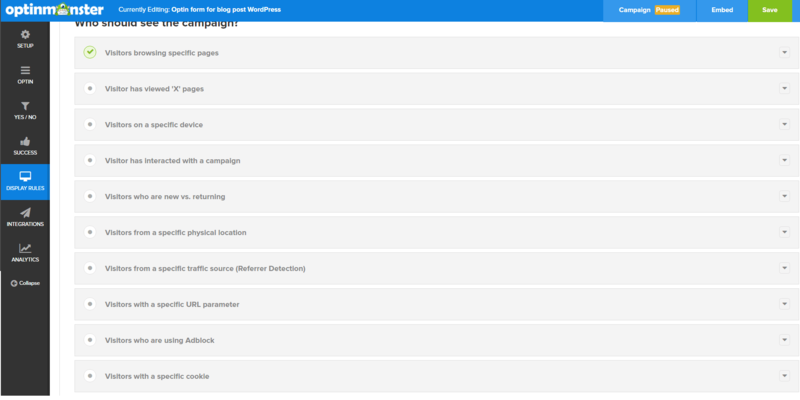 There are dozens of settings here to choose from, such as to show on certain pages, show to mobile or desktop users etc. 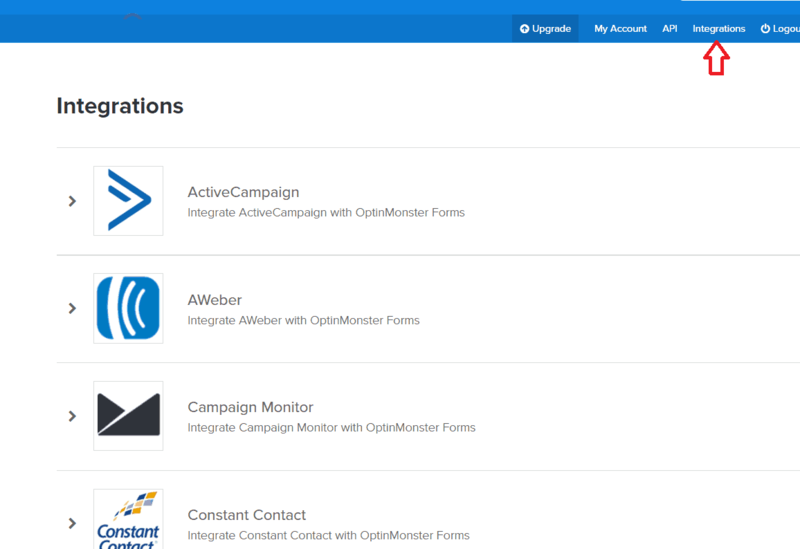 Integrations: This allows you to sync your form with other email tools such as Constant Contact. Select Constant Contact as your email provider and select your account so all opt-ins are put into your Constant Contact email list. Analytics: This allows you to track users who opt-in using Google Analytics. Simply click the ‘Generate Authentication Code’ button if you would like to do that. Now head back to WordPress and click on the OptinMonster tag in the sidebar. Click on the ‘Go live’ button and it will change its status from Disabled to Live. As I created a sidebar form, I need to head to the Widget section of my WordPress site and place the OptinMonster widget into my sidebar. Okay, it took a little more than five minutes, but you have now set up your lead generation machine. Test your opt-in form using another email address to the one you entered earlier when creating your email list and make sure everything works. 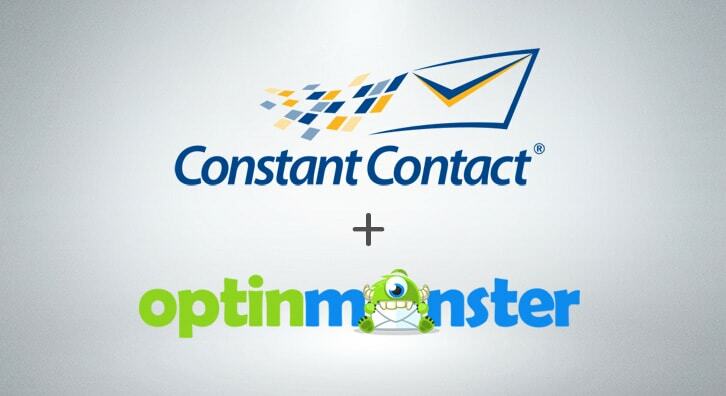 You have now set up OptinMonster on your WordPress website to work with Constant Contact. 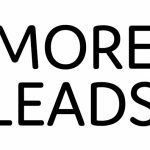 Each time a lead signs up to your website they will automatically be sent your welcome email series without you having to do a thing. 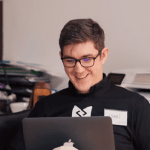 If you wish to send them more emails in the future, you can create newsletters on the fly or set up more autoresponders using the same process as above. 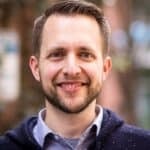 In a few easy steps, I'll help you make a great site fast using WordPress. Do You Need Wordpress Hosting? No, I don't use Wordpress hosting.